Last Sunday, I was dragged kicking and screaming (Ok, I exagerate…) to a garden centre by a couple of friends on a mission for a leek. I’m being deadly serious. I know how this sounds, but bare with me. There was the promise of tapas for lunch, and more importantly (both for you and for me) there was also much talk of an especially good farm shop within the garden centre, which had a decent selection of gin. Result! Fast forward on around 3 hours and I was back at home the proud owner of an extremely unusual looking new gin. The garden centre for those that live in the North West was Bents, which is north of Warrington. More importantly, the gin in question is called Faith & Sons and boy am I glad I discovered it! Made with the finest organic botanicals sourced from all around the world in order to create this fresh, smooth and fragranced gin. Having got home, I reached out to Filipe on twitter to ask him a few questions about his gin and he quickly responded with the very generous offer to meet up and allow me to actually sample the flavour profiles for each of his botanicals in raw form. This was an offer I couldn’t refuse and some 2 hours later, I came away with heaps of wonderful information and a real sense of fortune at having been able to spend time with such an interesting and passionate person. 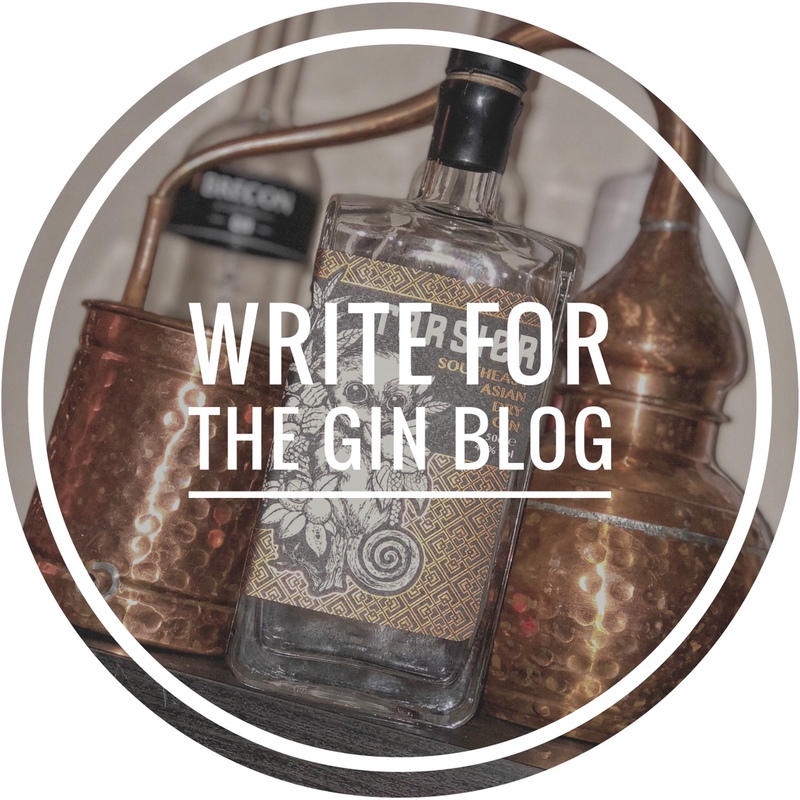 I don’t want to go into too much detail here as I am in the process of producing an interview from today’s fascinating meeting but what I will say is that Filipe has such a fantastic outlook on not only gin, but life itself that I hope I can do the article justice! For now, on with the gin! vacuum sealed bag. This really caught my eye as I have never seen this sort of thing before. The quality of the graphic design is fantastic and will certainly appeal to those who like their modern design. I also really like the fact that the design tapers down to the label, giving a clear look through to the bottle and label. As with lots of small distillers, there is interesting information about batch and bottle number, together with the usual stuff. The main label of the bottle looks like a business card, which is a neat touch and I love the black outline, which gives it a 3D effect. The bottle is a simple square glass shape, not dissimilar to that of an old fashioned perfume bottle, only much bigger! The stopper has a wax style coating, which is a lovely touch and all of the graphics on the bottle are in keeping with the sharp, modern style. On the surface, this is quite a basic collection of botanicals but once you look past that, you find there is a lot more to what goes into this gin than just a few ordinary ingredients. Each of the botanicals has been painstakingly hand picked from organic producers from around the world. For this review, I am in the unique position of giving tasting notes on all of the botanicals themselves, as well as the gin. The berries offer an initial and obvious hit of Juniper when eaten, which gives way to a sweetness. The aftertaste is quite peppery. The coriander, when ground up, offers up a deep lemon aroma on the nose with a sweet and spicy edge that stays with you. The angelica root has an expected earthy smell to it and is quite woody, without smelling like sawdust! The licorice root is not at all sweet in nature and has a dark and earthy smell. The lemon verbena, when ground up, has a deep and sweet lemon smell to it as you would expect. It reminded me of lemon balm in the garden, but much stronger. Finally, the Mandarin smelt and tasted quite sweet. Filipe explained that the sweeter edge comes from the dehydration, which causes caramelisation. This isn’t the case with the mandarin peel used for the gin as it is fresh and not dehydrated. Smell – There is a spicy juniper smell and lemon peel on the nose, which gives way to a sweeter orange character. In a G&T – I decided to keep this fairly simple with a Franklin & sons tonic and a garnish of apple. I did initially ask Filipe about his personal preference, but he was reluctant to give a definitive answer. He is such an expert when it comes to flavour profiles and the science of smells and tastes that he preferred to suggest the following “The recommended garnish can go from a slice of nectarine or apple, some dehydrated white grapefruit or even a fresh lavender sprig if you want to add floral notes to the gin”. This may appear vague, but what Filipe wants you to do ultimately is find and enjoy the way you prefer his gin according to your taste. You can also purchase this great gin at various shops online!